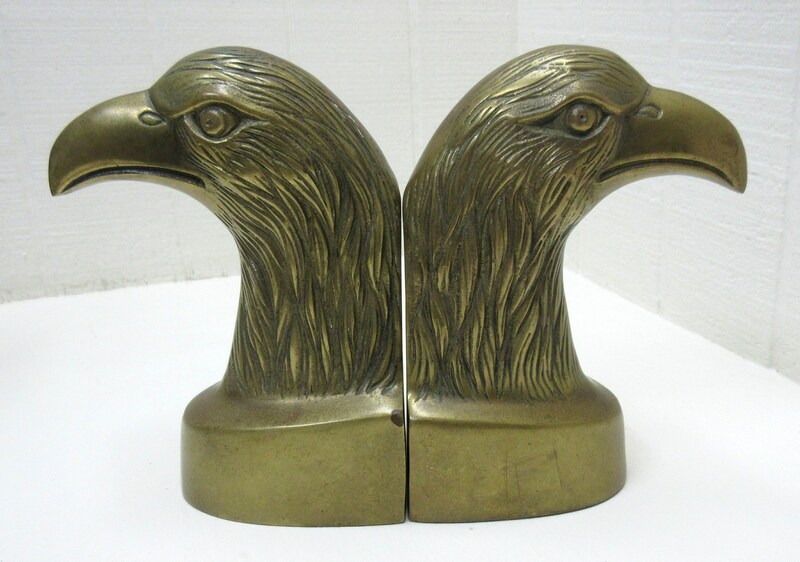 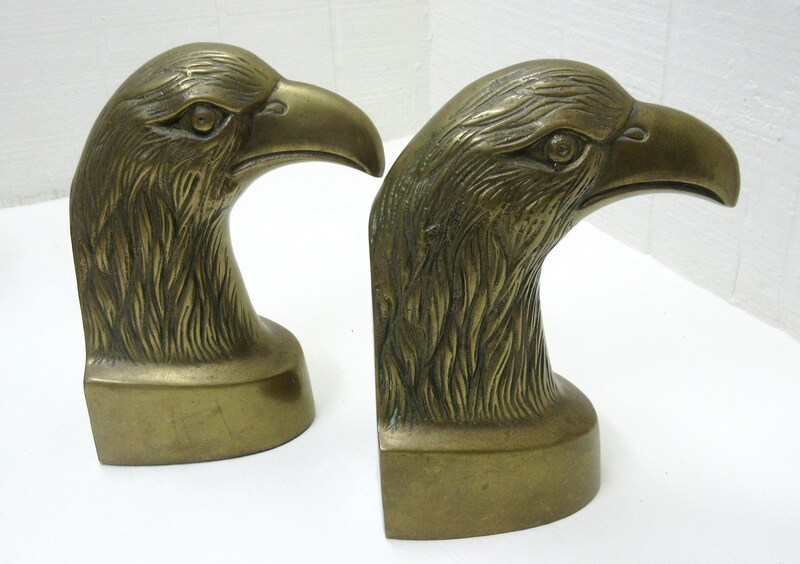 Here's a really nice set of brass eagle bookends. 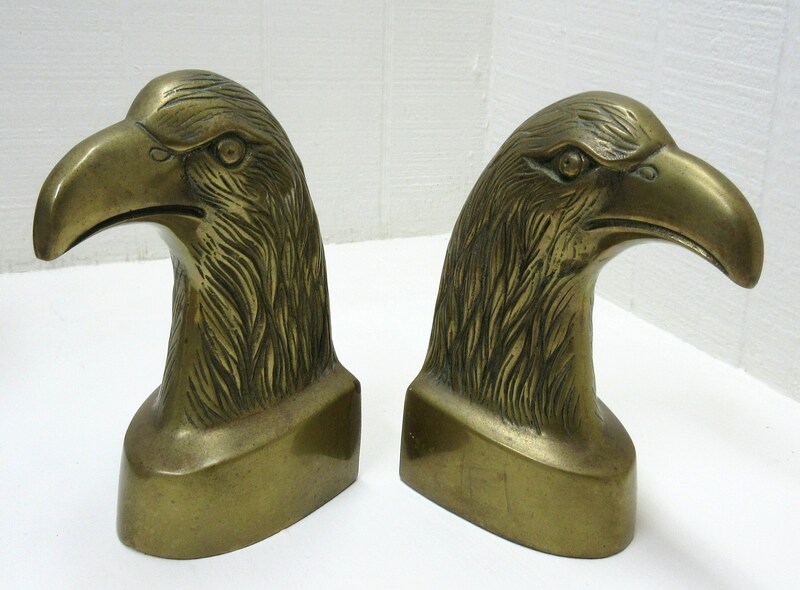 The eagles have a lot of detail and they're in pretty good vintage condition. 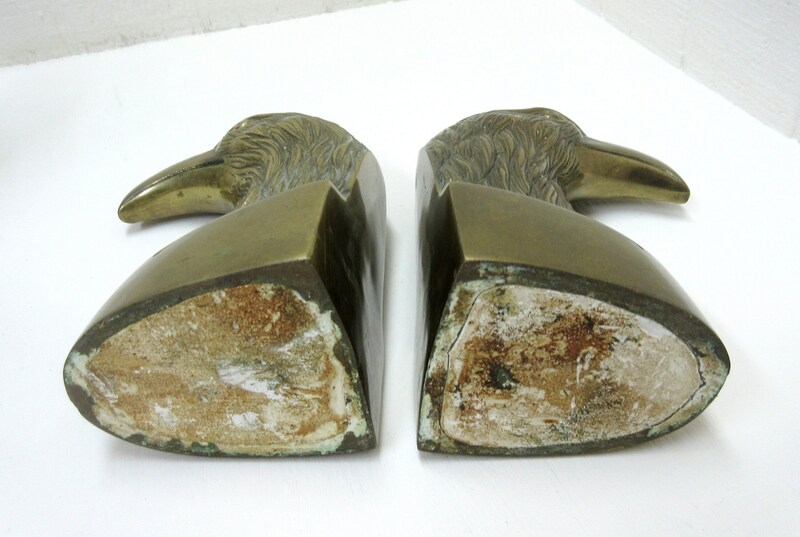 At one time in their lives they had felt on their base, but it appears to have just worn away. 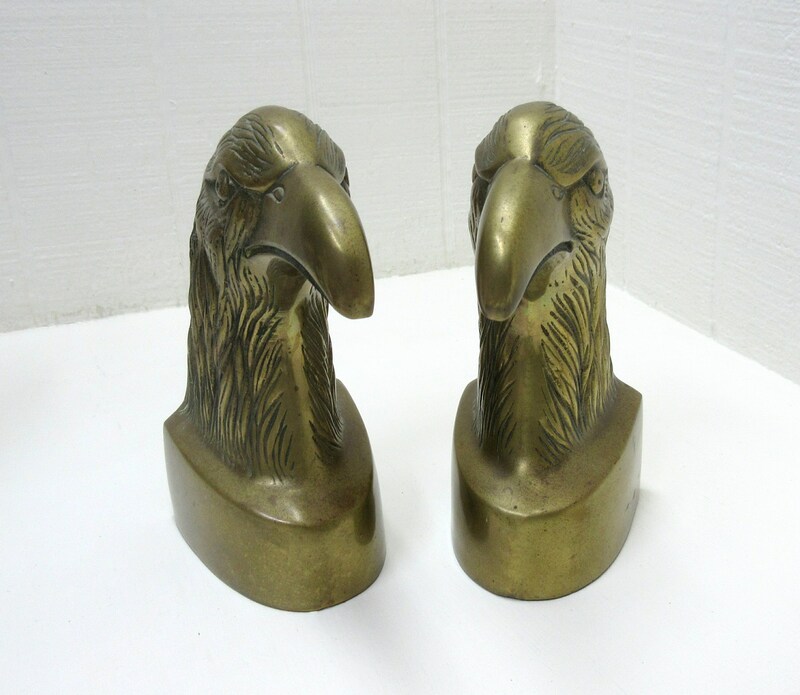 They don't have any serious issues. 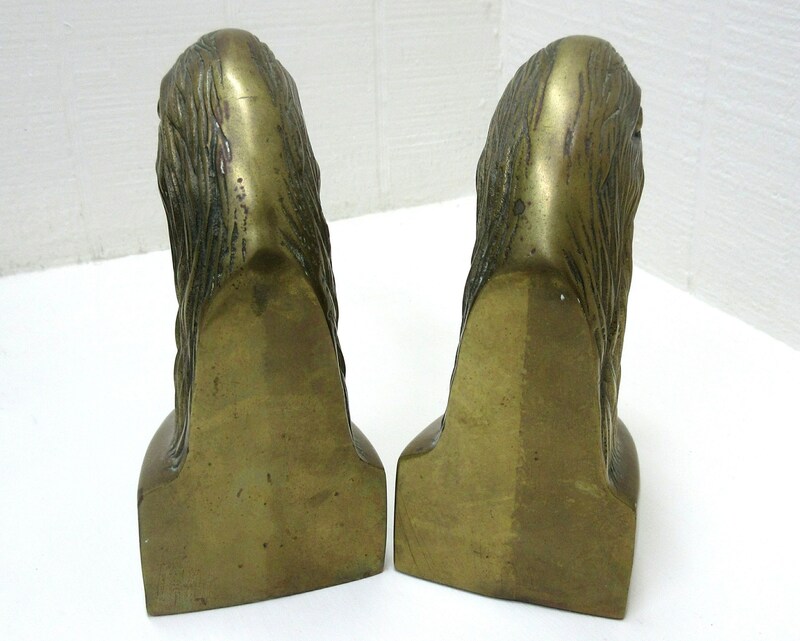 But, they do have a couple of little spots of tarnish. 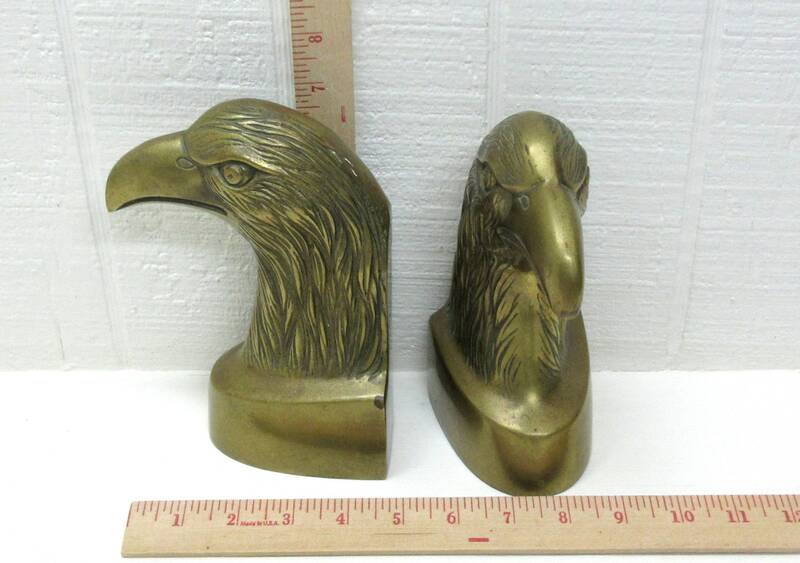 Each one measures about 7-1/4" tall x 3-3/4" in length x 3-1/4" wide. 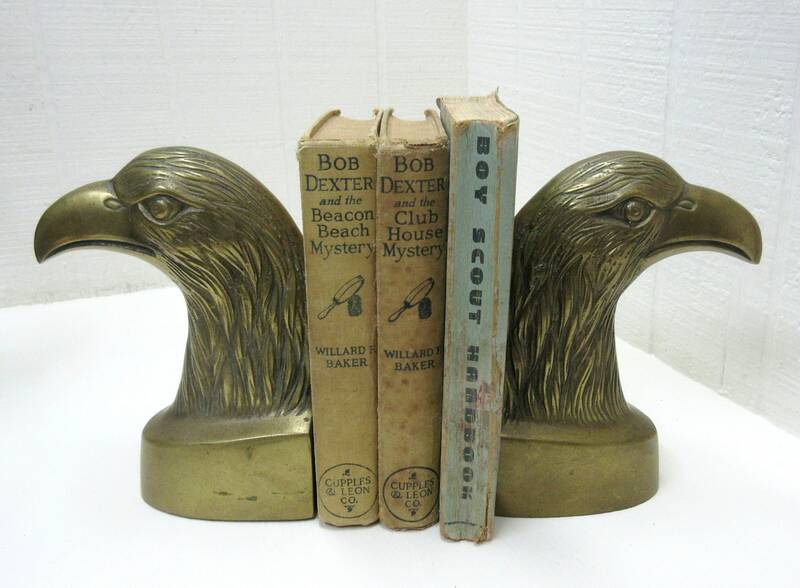 Each bookend weighs 2-1/4 lbs.